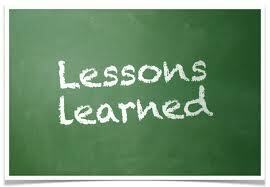 As each year passes I realize that I continue to learn valuable lessons. So I thought I would share a few of them with you that I’ve been thinking about lately. Actually I’m hoping that I will continue to learn right up until the moment I take my very last breath! After that … who knows … could be a whole new ball game? If it doesn’t feel right in your gut … it’s probably not. Sometimes you need to believe in people … even when they don’t believe in themselves. The simpler something is … the closer it is to the truth. The easiest way isn’t always the best. Life unfolds exactly as it is supposed to … even when it’s not exactly the way I want it to. Sometimes what you’re looking for is right under your nose … you just have to open your eyes. Choosing happiness is simple … it’s not always easy. If I can’t be happy where I am … I will never be happy where I wish I was. Love is the miracle cure that scientists have been searching for … it heals everything … you just need to get your prescription filled and then take it in! What lessons have you been learning lately? Care enough … to share? “Go confidently in the direction of your dreams!” HDT. Life is too short to sit back and ask What If I had done this or that.